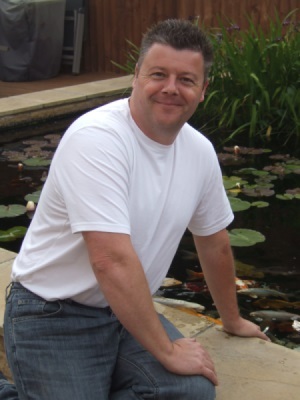 Martin Wing runs the Leicestershire pond consultancy branch for Head Squared Aquatics. Martin has been a PGA professional golfer for 22 years. Over these years he has run his own retail business. Alongside teaching golf, he has helped manage and organise many events and competitions at three golf clubs in the London and Leicester areas. His real passion and hobby has been keeping and breeding many varieties of fish. He has bred and sold tropical fish for many years, and progressed to keeping discus and marine fish in spectacular tanks. He has constructed and designed his own koi ponds in a number of his previous homes. Most recently he constructed a 5500 gallon koi pond in his present home in Broughton Astley, Leicestershire. 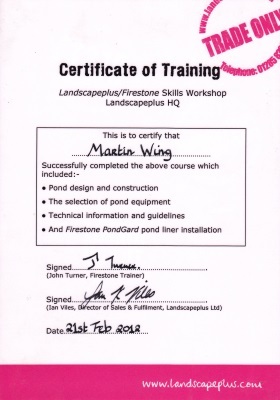 Martin has excelled in developing his pond knowledge over the years working with Giles Head (an expert in this field) and is extremely excited about being a part of the team at Head Squared Aquatics since 2008. 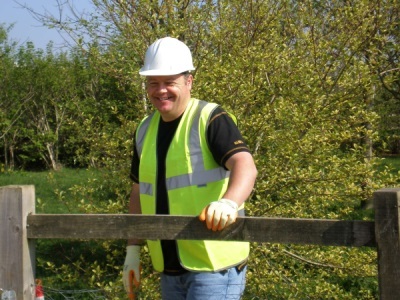 Martin is a family man and lives with his wife and their three children in Leicestershire. He enjoys working in his garden, the theatre and sports, but most of his spare time is taken up by his love of ponds.